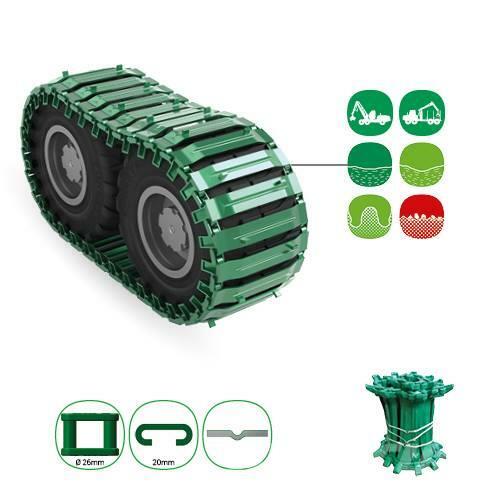 Ostale informacije Due to the form of the profile it enables great contact surface with the forest soil, and, consequentially, also an outstanding traction and stability of the machine on swampy and soft foundations. The profile with the least influence to the forest soil. • On terrain where minimum impact on the environment and undergrowth must be ensured.